This Tillamook bacon cheeseburger is OVER. THE. TOP. 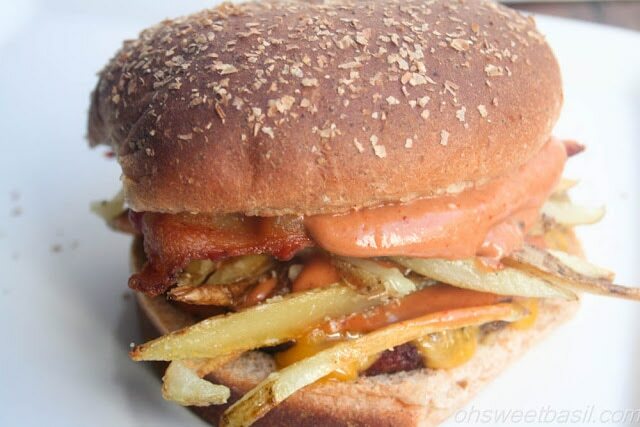 Bacon, melted cheddar, hot and salty french fries Sometimes people just need a big, juicy, cheeseburger. Even if I don’t love cheeseburgers myself I can honestly say that I did enjoy this one. I looooooooved the french fries, the melted sharp cheddar, and especially the sauce. Oh, the sauce. I’m such a huge fan of great sauces. I think a great sauce on a burger can totally make the difference. 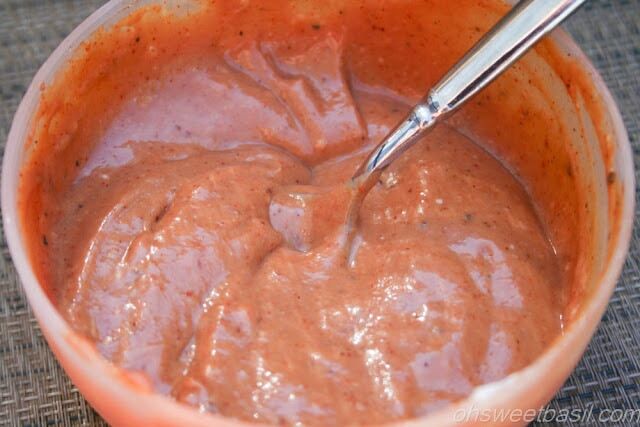 This sauce uses simple ingredients that most homes already have which is so much easier on everyone because you can always pull out a last minute meal without having to run to the store. You can’t tell me that you don’t want to grab a few fries and dunk them in that. It’s such a great sauce. We ended up making these burgers with a few friends earlier in the summer and I had to make a whole new bowl because it went so fast. Kind of like summer. Am I the only one that felt like summer has gone by way too fast? I am seriously DREADING getting back into a routine. I’ve thoroughly enjoyed being out in the sun and traveling this summer. It’s killing me to think that I have to give my little 6 year old back to school every day. I love hanging out with her. I’m interested what you all are doing to celebrate and enjoy the last few weeks of summer? Do you have anything planned to celebrate school starting again? Is It Safe To Eat a Cold Hamburger? Hamburgers can be kept at 40’°F or less for up to 2 days, and still be safe to eat. How Long Can a Cheeseburger Sit Out? You can safely leave cooked hamburgers out at room temperature for two hours. After two hours, hamburgers should be refrigerated or discarded. What Percentage of Fat In Ground Beef Is Best For A Hamburger? 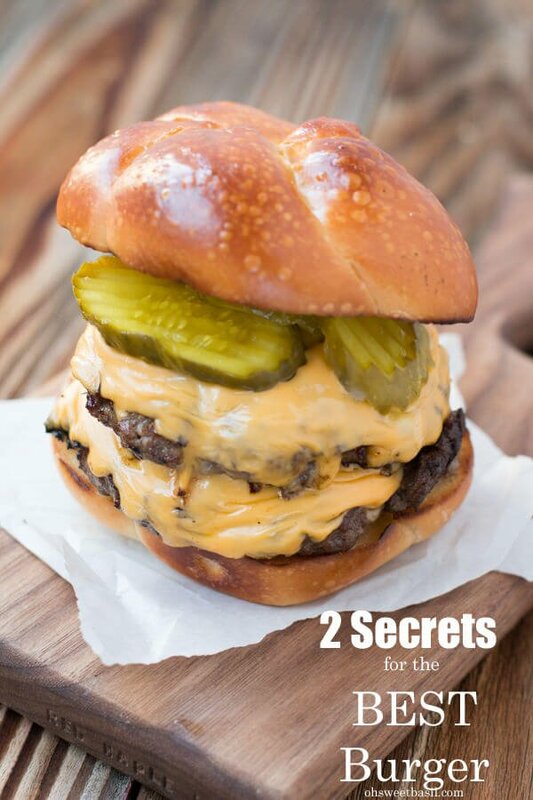 To make the juiciest, most flavorful burgers, choose ground beef that is 70 percent lean and 30 percent fat. 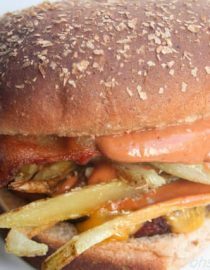 To make a healthier burger that is still juicy and flavorful, use 80 percent lean and 20 percent fat. Whisk the eggs slightly in a small dish. Add the cracker crumbs and stir to combine. Add the ground beef and quickly, without squishing the meat too much, and using your hands, mix everything together. Form the beef into patties, about 1/2-1″ bigger than the size of your bun, indenting the centers a little to encourage even cooking. Sprinkle each side with salt and pepper, place on a plate and cover with saran wrap. Remove from the fridge and let rest on the counter for 5 minutes. Heat the grill to medium high heat. 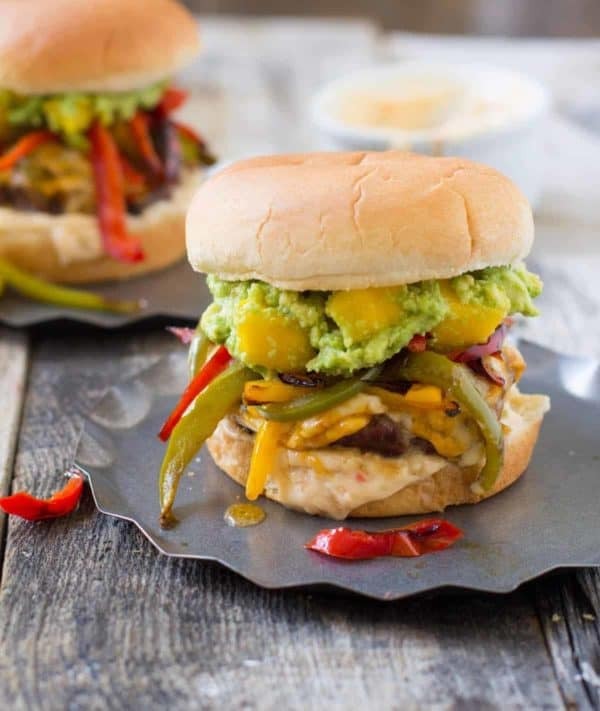 Place the burgers on the grill and close the lid immediately. Let the burgers cook about 6-8 minutes per side, flipping only once. 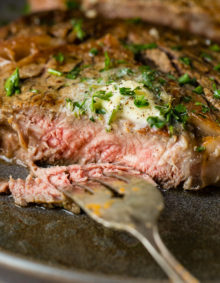 Do not press down on the meat with your spatula. It squeezes out the juices. The last minute of cooking, open the lid, add the cheese, and close the lid in order to trap the heat and melt the cheese. This is also a great time to add the buns and grill them slightly. Remove the meat from the grill and immediately place on the bottom bun. 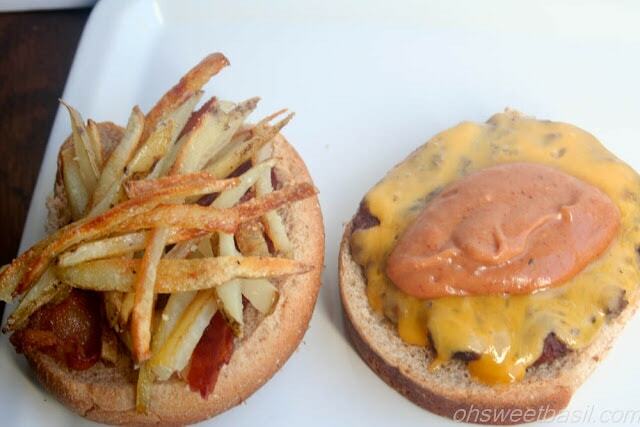 Top with sauce, bacon fries and bun lid. Whisk all of the ingredients together in a small bowl, adding the salt and pepper last to season to taste. Your site is amazing. I am a True Salt Lake Foodie always on the search for delicious restaurants and recipes. Over the summer I got a Traeger Smoker and it has been a lot of fun. Check out my site, http://www.hometownslop.blogspot.com. I would love to link to your “Foodies” page and do the same for you. 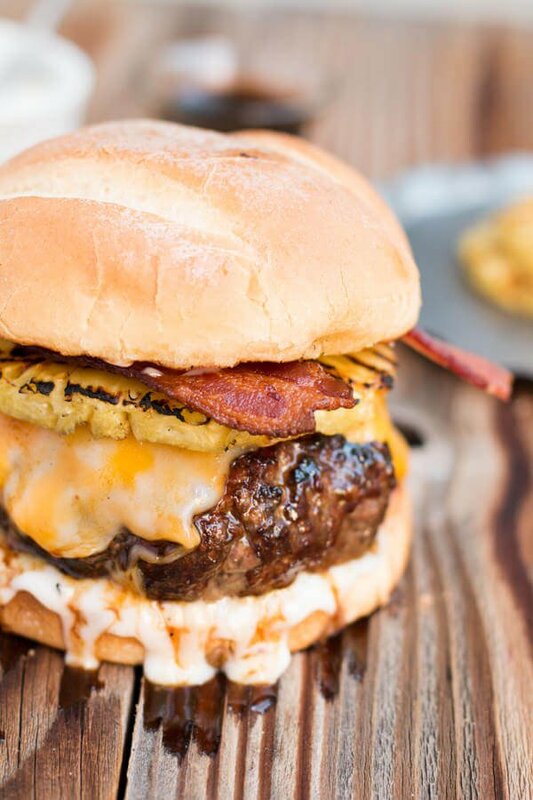 This burger looks to die for! 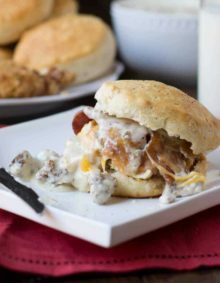 We’d love for you to submit a similar recipe to The Search for the Ultimate Weeknight Meal, offering a grand-prize to one lucky blogger who will tape a segment to air on national TV! If you're interested, check out our contest page for more details. I love Tillamook and I love burgers! You and I definitely need to get together and make burgers together! I love Tillamook cheese. These hamburgers look perfect. I agree, a good sauce can make a burger better! I'll have to try this one. I love every single thing about this burger! We are going to Oregon next month and I want to visit Tillamook!